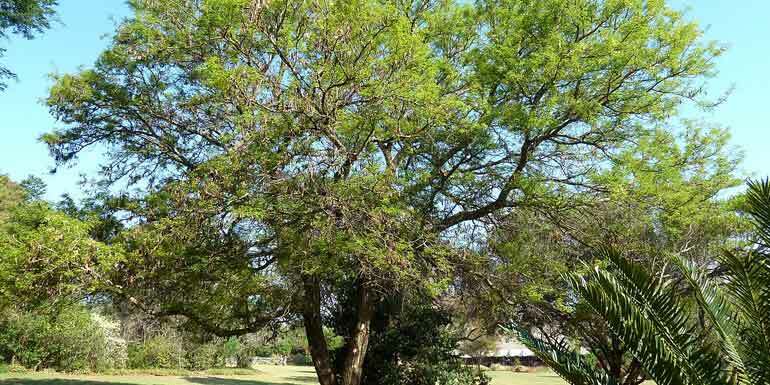 The Knob-Thorn (Acacia Nigrescens) is a deciduous tree which can grow up to 30m with a spreading or rounded crown. Flowers perched in cream to yellow-white veins, appear before or with the new leaves. Fruit a dark brown, thin, open leaping pod hanging in clusters. Distinctive feature of a Knob thorn is hook black spines on trunk and branches, one or two some roundish leaves and creamy white flower spikes. 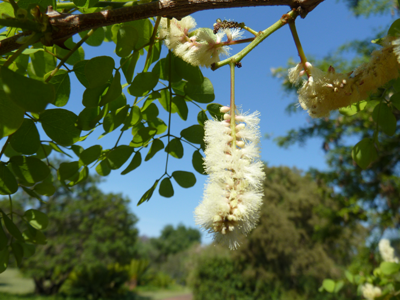 Flowering is from August to November and fruits form from January to June. The bark is dark brown with black prickles on prominent knob on older branches. 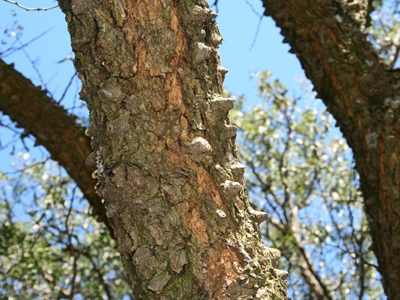 Each individual knob is tipped with a hooked thorn and it is obvious on the trunk of younger trees, but becomes less visible with older and even absent in large, mature knob thorns. The Knob thorn grows well in clay soil and forested grasslands. It is a good wood for furniture, but difficult to saw through because the wood is hard and strong. A beautiful tree that will hit the eye in a larger garden. Can also be plated as a group of three or five on a lawn. It gives a sense to the bushveld garden. It has a tap root and will not damage your structures.